In this month’s Law Practice magazine, my colleague and alternating “marketing columnist” Greg Siskind provides an outstanding primer on the benefits and how-to of trade show marketing for the law firm. Greg’s immigration law practice, Siskind Susser, has successfully used trade show participation as a significant marketing tool for many years. In the article, Greg discusses budgeting, show selection, booth planning, working the booth, follow-up and ethical issues. Depending on the practice and the personalities, I’ve been a fan of trade show participation for lawyers–when appropriate. The breakdown is often in the lack of strategic planning, the people sent, and the all-important follow through. When you start adding up everything up from the organization sponsorship, to the booth development or rental, travel & entertainment, promotional giveaways and proper follow through, it can be a big nut in a practice group’s marketing budget. However, if done right, and tracked properly, it can be a lucrative leader in generating new clients and matters. 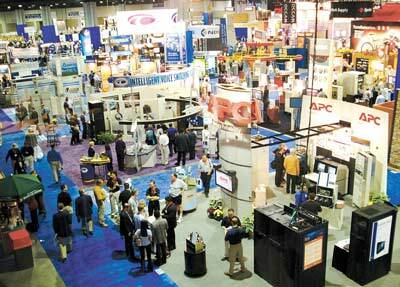 In most cases, attending a trade show is not a one-off event. It is usually the culmination of many other activities related to the specific trade, and often, a multi-year effort before a real payoff. Many years ago, I authored a similar (but not as good) article on trade show marketing for lawyers. I discussed my own experiences and what I’d witnessed in visiting some law firm booths at a local Chamber of Commerce event. In reading Greg’s piece and rereading my own, I’m reminded that in the right situation, trade show participation continues to often be an underutilized or under strategized component of a law firm marketing plan. However, if the target market is on-point and there is proper access to the attendees, it provides an opportunity often lacking in this age of social media and virtual society–in-person, real time contact with decision makers and buyers of legal services. But make sure that participation in a trade show is well planned and thought out, or the results can be detrimental instead of positive.